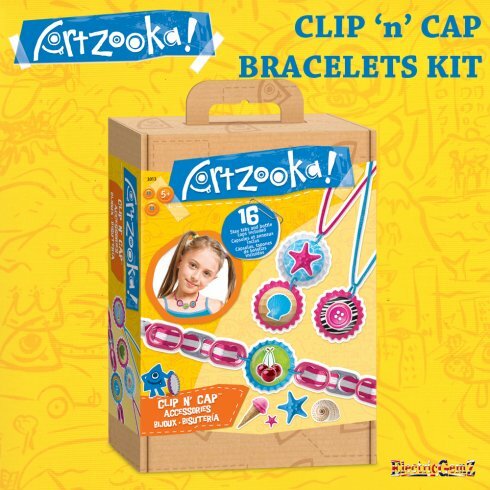 Make your own fashion bracelets and other accessories using unusual items - and your imagination!Suitable for, and specially designed to inspire ages 5+, Clip 'n' Cap Bracelets Kit is unique.The unusual packaging 4 traditional bottle caps in different colours, metal tabs and other accessories plus full-colour stickers - and full-colour instructions and suggestions for related activities.Artzooka - creative, quality fun and inspiration for your little ones. 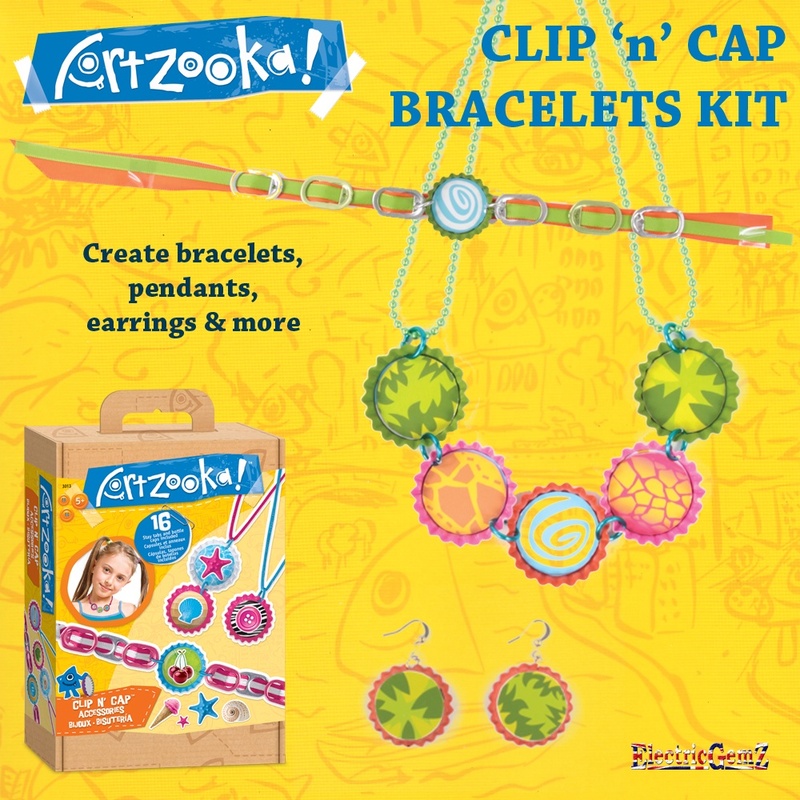 Make your own fashion bracelets and other accessories using unusual items - and your imagination! 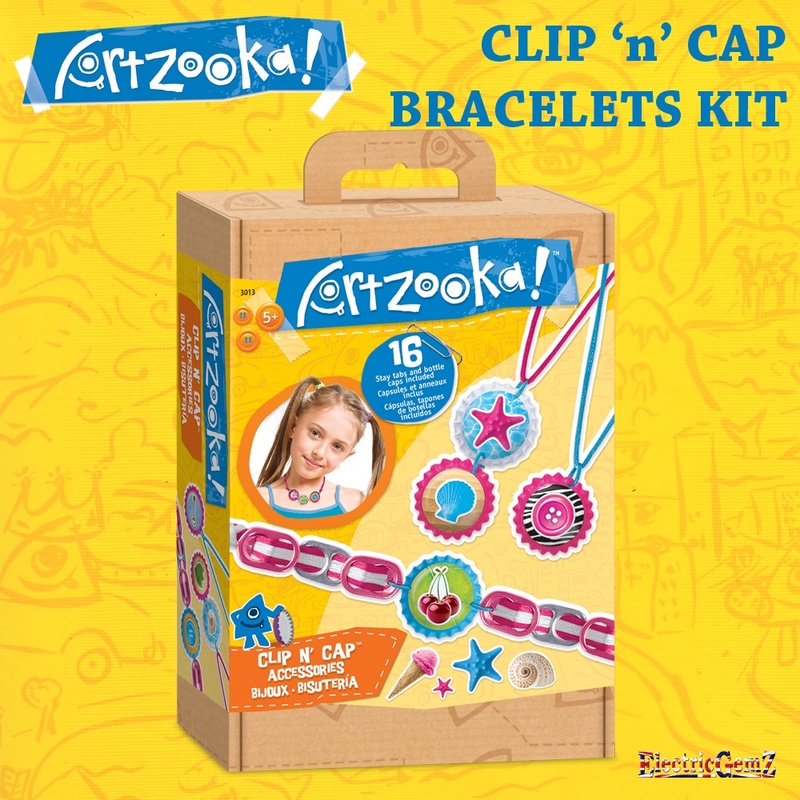 Suitable for, and specially designed to inspire ages 5+, Clip 'n' Cap Bracelets Kit is unique. 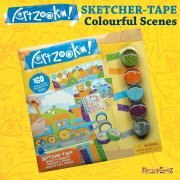 The unusual packaging contains 4 traditional bottle caps in different colours, metal tabs and other accessories plus full-colour stickers - and full-colour instructions and suggestions for related activities. 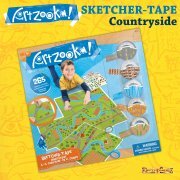 Artzooka - creative, quality fun and inspiration for your little ones.